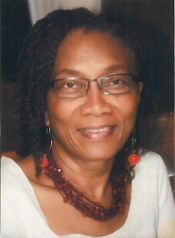 July was National Minority Mental Health Month. In recognition of this, a significant number of our posts on social media were dedicated to facts about mental health and minority populations. Too often, myths and cultural attitudes prevent acknowledgement, and therefore, early diagnosis and treatment of issues like anxiety and depression. Although we are now in August, I encourage everyone to learn more about signs and symptoms of mental illness and to make mental health a normal topic of discussion with family and friends. In this way, we can help to reduce the stigma and denial often associated with mental health-related behaviors, especially among minority populations. For nearly 15 years, BCHN has been providing incremental resources for co-located primary and behavioral healthcare services at our Montefiore and Acacia Network affiliated health centers. Patients complete a brief screening survey and based on their responses, they may be referred by their primary care doctor to the mental health team for diagnosis and treatment. As a result of the success of BCHN’s and other Montefiore Medical Center initiatives, Montefiore has successfully expanded mental/behavioral health services for children and adults in its ambulatory care centers. We have come a long way in putting a much needed spotlight on mental health-related issues, but there is still much more education to be done to place mental health wellness on par with medical and physical health wellness. On Wednesday, August 12, 2015, 5:30-7:30pm, BCHN will be hosting the first in a series of Community Engagement Meetings at the Bay Eden Senior Center, 1220 E. 229 St. We invite all members of the community to join us for an in depth discussion about the steps we can all take to improve the health of Bronx residents. For more information, contact Michael Hernández, (718) 405-7720. In Celebration of National Health Center Week, August 9th-15th, 2015, BCHN will host its 10th Annual Community Health Champions Recognition Dinner on Thursday, August, 13, 2015.This special event recognizes community health champions dedicated to serving the Bronx. BCHN will be holding a health fair field day at Evander Childs High School Campus' athletic field on Tuesday, August 18, 2015 from 10:00am-3:00pm. Come out and join the fun. For more information, contact Renée Whiskey, (718) 405-7720. BCHN will host a NO COST Digital Mammogram/Clinical Breast Exam event on Thursday, August 20, 2015, 9:00am–4:30pm at the Highbridge Community Church. Appointments are required. To schedule your appointment or for more information, please call (718) 405-7720. 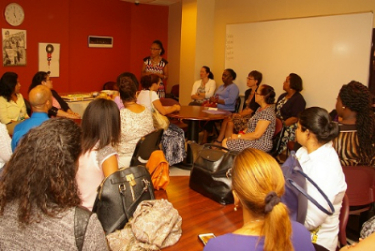 On Friday, August 7, 2015, 18 Community Health Workers and Patient Navigators completed a four-week-long comprehensive care coordination training program and were honored with a completion ceremony. This 48-hour training course, created by the Primary Care Development Corporation and 1199 SEIU Training and Employment fund, is a highly interactive class that equips participants to assist patients in navigating the healthcare system. We are very proud to have hosted the training program, as we are on the cutting edge of providing care coordination services to community members and patients. 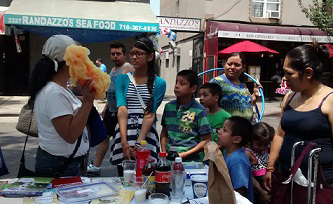 BCHN Community Health Worker, Elisa Benitez speaking to Bronx residents during the Health Wellness Expo: Stepping Out on Arthur Avenue, on Sunday, July 26, 2015. 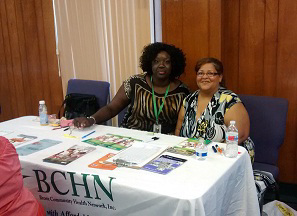 On Saturday July 25th, Community Health Worker, Ndeye Ngom (left) was at the Tabernacle Church of Restoration Community Health Fair with Racquel Ortiz (PN) (right) distributing information about BCHN, nutrition, and healthy eating. Chef Geneva Wilson, owner of Ms. Geneva's 50/50 LLC, and a partner of BCHN—who serves as the go-to chef for REACH CHAMPS programs—is a firm believer that foods are an integral part of healthcare and has built her business on that very premise. She has introduced groups of teens to wheat, another ingredient they tended to avoid. “I showed them how to use wheat and proved to them that it is good. 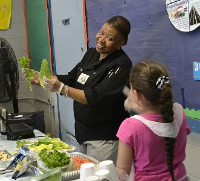 I work with one vendor, Susie’s Pizza on Grand Concourse, that even started making wheat pizza and the kids love it.” Next, Chef Wilson is considering a lesson plan to tackle another healthy, but maligned ingredient, tofu. "I'll prove that they won't know the difference between tofu and chicken!" @BCHNHealth thanks for the good work!! July is National Minority Mental Health Month. Fact: The suicide for African American men was almost 4 times that for AA women, in 2009. Great idea to try this weekend!